Follow Dr. Wen on Twitter, Facebook or LinkedIn. First published at MedCityNews.com. 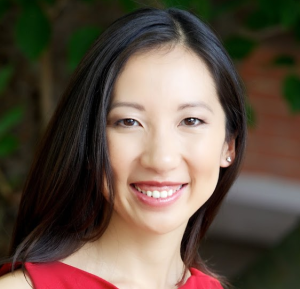 Dr. Leana Wen knows the healthcare system not only as a doctor, but also as a caregiver. The emergency medicine physician at George Washington University noticed a startling disconnect between patients and doctors as she juggled medical training while also helping her mother undergo breast cancer treatment nearly a decade ago. Since then, she’s devoted much of her efforts to redesigning the healthcare system to provide safe, effective and humane care for patients. She’ll be joining other innovative payers, providers, policymakers and health IT professionals at MedCity ENGAGE Sept. 30-Oct. 1 in Bethesda. Learn more about how ENGAGE will highlight current attempts to innovate in healthcare delivery and reimbursement, or register here. Dr. Wen gave us a sneak peak of some of the important issues that will be covered. What is the biggest challenge providers face when trying to help patients with chronic illnesses like heart disease, diabetes, etc.? Trust. It takes far more trust to change behavior that underlies many of these chronic illnesses than it does to take an antibiotic to treat an acute illness. Doctors must work hard to reestablish that trust–starting with total transparency and an equal partnership with our patients. What is the best patient engagement tool that you’ve seen? True, engaged listening. Studies show that 80% of diagnoses can be made just by listening. The story is also connects us as human beings. The best thing we providers can do to engage our patients is to listen. My mother is my inspiration. She was diagnosed with metastatic cancer when I was a medical student. Being her caregiver while at the same time going through my medical training showed me how much disconnect there is between what patients need and what medicine does. Trying to bridge that disconnect–that is what I devote my career to. What’s the right combination of high tech and high touch for patient engagement? High touch is an absolute necessity. No high tech advances replaces the primacy of the story and of listening, or the importance and intimacy of the touch. High tech solutions can assist with patient engagement, but the low tech essentials cannot be forgotten.